Let AGZA help you kick gas off your grass! Whether you’re a Mayor, Director of Public Works, or a City Council Member, a Supervisor of a national land care maintenance franchise, a small lawn & garden crew, or a DIY homeowner — AGZA can help you kick gas off your grass! Eliminate the health and environmental impacts of gas grounds maintenance on any property by transitioning from gas to electric operations. Define, measure, procure, roll out, verify, report, certify. Every outdoor green space maintained with gas equipment is a candidate for the health and environmental benefits of AGZA Green Zone® Certification. We collaborate closely with your organization to reduce or eliminate the financial, health, and environmental impacts of ongoing gas-powered lawn care from your properties. Crews are the front lines. 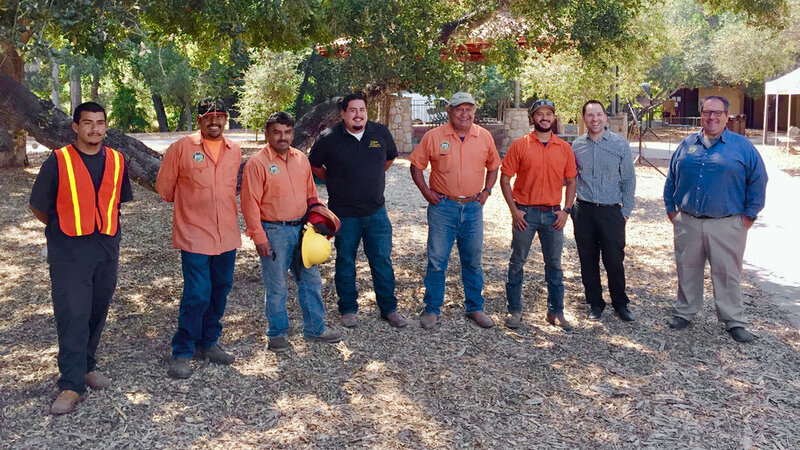 AGZA empowers workers to make informed decisions, optimize the safe performance of electric tools, enhance their skills, and transition confidently into sustainable land care. Every grounds maintenance crew who uses gas equipment can benefit from our groundbreaking education, training, and AGZA Service Pro Certification program. We ensure you get all the benefits of electric equipment and training, including increased long-term profitability, while maintaining safety, work production rates, and aesthetic. AGZA proactively pursues every avenue to accelerate the NATIONAL transition to MORE sustainable grounds maintenance. Crew workshops, equipment showcases, and equipment loaner programs. Gas-electric equipment exchanges. Educational presentations to city councils, air district boards, sustainability organizations, and CARB. Speaking engagements for industry events. Drafting state procurement specs and aggregate purchasing programs. Collaborating with neighborhood associations. Developing online training courses.